First off we have “unidentified object flies Canterbury skies” (posted 3rd april, 2008 by stuff.co.nz ). It mentions “Teenager Andrew Wilkinson captured an apparently fiery object in the Canterbury sky on his digital camera last night” (extract from article). “The wing lights of a commercial airliner, flares tied to balloons, mistaken planets and even mass hallucination have been suggested as possible explanations for the sightings of three unidentified red lights that passed over the skies of Tinley Park in a rough V formation on the nights of Aug 21 and Oct 31 in 2004” (extract from article). 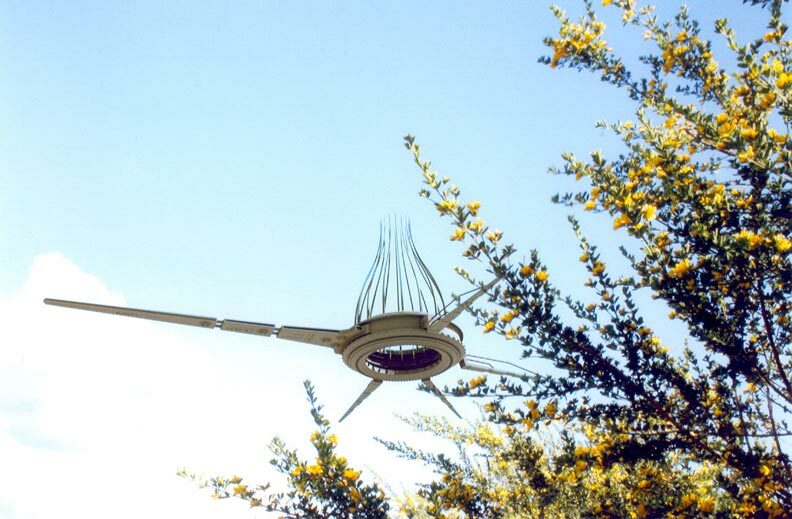 “One factor that eliminates the Jacques Vallee and Mac Tonnies hypotheses that there might be co-inhabitants of the Earth who live in an isolated plane of existence or underwater as a full-borne civilization that interacts with human beings via UFOs, paranormal manifestations, et cetera is the non-interference in Earth affairs” (extract from article). “The possibility of extra-terrestrial life will be examined in the last of eight unique shows in the spring season at the planetarium, which begins on April 18, at 7 p.m. The Southfield Vollbrecht Planetarium is located at 19100 Filmore, just off of Evergreen Road between 10 Mile and I-696 in Southfield” (extract from article). Alien worlds Magazine issue 2 is out now; it is a recently created magazine, worthy of your attention; please see http://alienworldsmag.com see here for what is in issue 2. For links to the Roswell UFO festival planned for july 2008 please see here (just become available, with schedule). On richardlalancette.blogspot.com “Sightings and earthquakes” (posted 2nd april, 2008 ) has something i touched on before, with the recent UK earthquake…. “Several sightings of lights appearing in the sky were reported in the days leading up to the quake, which had its epicentre near Market Rasen when it struck early on February 27. And some believe that these could be “earthquake lights” – caused by changes in the electrical properties of the ground before a quake occurs. There have been many similar reports of “earthquake lights” throughout history” (extract from article). “UFO Hunters is a show for true believers only; anyone looking for actual science or serious investigation should look elsewhere” (extract from article). I’m afraid i will have to agree with him on this. 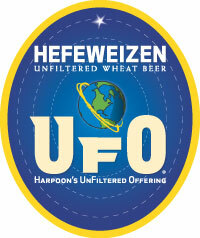 “I’m forwarding this post to you since it evidently didn’t make it into UFO Updates. I also sent it to Mr. Hilkevitch at the Chicago Tribune. Perhaps you can run with the FAA part, or know someone who can. If the statements posted by the reader are true, there’s a goldmine of information lying underneath” (extract from article). 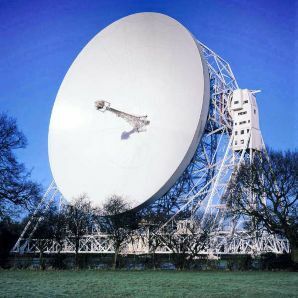 At seti.com “Contact: would we know if it happened?” (posted 4th april, 2008 ) it opens with “Forgive my cynicism, but I have to ask: If we received an irrefutable ET signal, would the public ever know?” (extract from article). ufo media.blogspot.com has “The other Skinwalker Ranch: contact” (posted 4th april, 2008 )…worth a read; the site is also recommended. Lastly….” Increased sightings spark UFO and Paranormal Conference in Kansas City” (posted 5th april, 2008 – by prweb.com ). “The first annual Mysteries of the Universe Conference is scheduled for June 7 in Kansas City, Missouri at the Intrigue Park Place Hotel from 8:30 am to 9:30 pm. The conference is the first of its type to be held in the area, and was sparked by the recent flurry of UFO activity in the U.S. and increased reports of paranormal activity in Kansas City” (extract from article). In part 2, i will try and discuss the drone sightings in much more detail…..(it looks like this will now be part 2 of 4…explained near end of post ). I have tried to gain as much information, from forums such as Above top secret, and from blogs, and so on…as well as my own analysis. The drone photos and documents, have been creating alot more debate recently, mainly due to the hiring of 2 detectives .. http://www.tkdavisinvestigations.com/_california_drone_investigation . What i am not sure about, however, is why they are just looking for the location of these photos…should they not be following up on Internet information, and so on and cover all angles (maybe they are, but i am not aware of it). Was it an ARG viral campaign? did it get out of hand? Why no witnesses named/or identified? 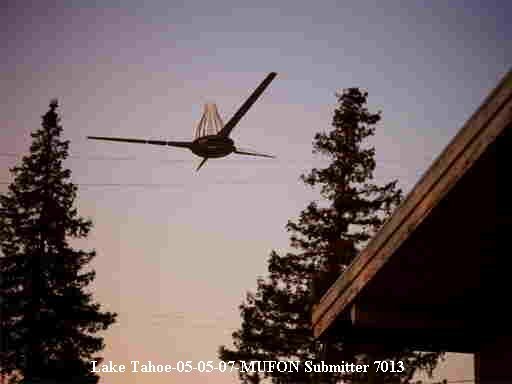 “At this point, i will add the link from MUFON, as it argues this is a fake http://www.hyper.net/ufo/vs/m05-001.html with an interesting argument; also analysis’s check the photos supplied. These were steve Neil (computer generated images for history channel) and Marc D’Antonio (owns and operates FX models)….both believe in ufos/extraterrestrials being real. “In one of the images, you can see that the faker used, something called “radiosity” to render the images. The technique allows for more realistic images and makes things look very good, as if lit by the sun in this case. Well, in ONE of the radiosity images supposedly looking up at the ‘fake ship’ from directly below it is clear that the faker didn’t take care in setting his settings for the renderer and you can see classic “radiosity render artifacts” in the dark shadow areas of the CG craft. They show up as mottling in the shadows instead of smooth transitions. atmospheric haze.Finally, in one image the faker composited the craft to appear behind tree branches. This is easy to perform. The faker used something called an Alpha map which affords you JUST this capability.Sooner or later, I will bet that a ‘video’ will emerge, and the faker is no doubt working on it but doesn’t like the results I guarantee because the radiosity renders take a long time to render per frame and in motion, he has to get all his Photoshop type filtering done on the fly within his rendering software and it isn’t as easy.When I saw this I winced at how obvious the fakery is and how utterly uneducated the coast to coast people are for falling for it. witnesses themselves (names stated above).I suspect the Coast to Coast web site appearance was a trial run before posting here in the Mufon CMS. The attached images files from Coast to Coast read in the image file text’ the name ‘McKinley’. The same witness name above in the witness report.I seriously doubt the ‘Coast to Coast’ people may even know about this authenticity issue. As of May 16, 2007, I have not recieved any reply from these witnesses.Clearly a ‘HOAX’. Case completed, but will reopen should I recieve get a reply from the witness. (hopefully). Obviously, no real video were forthcoming, and the e-mail was never replied too…. (for an idea of radiosity see http://freespace.virgin.net/hugo.elias/radiosity/radiosity.htm , and also here). So there is straight away, a question as to the validity of the photos as being real… however we need more debate than this…..
“Within the 3D modeling software, you can actually take real life pictures and include them into the render. So If I made a 3D model of a jet, I could easily take a real picture of an airport, and place the jet at the right angle and position, and then, I can even move the lighting node placed in the 3D scene to match the picture, and when I render it, it will look almost realistic. You can play with the render until you get it just right. So trying to debunk these drone pictures because of “lighting” can be difficult, because all the 3D artist has to do is position the light node anywhere he believes the background images light source is. Then they can simply change the settings of that light node, like brightness and contrast and color. 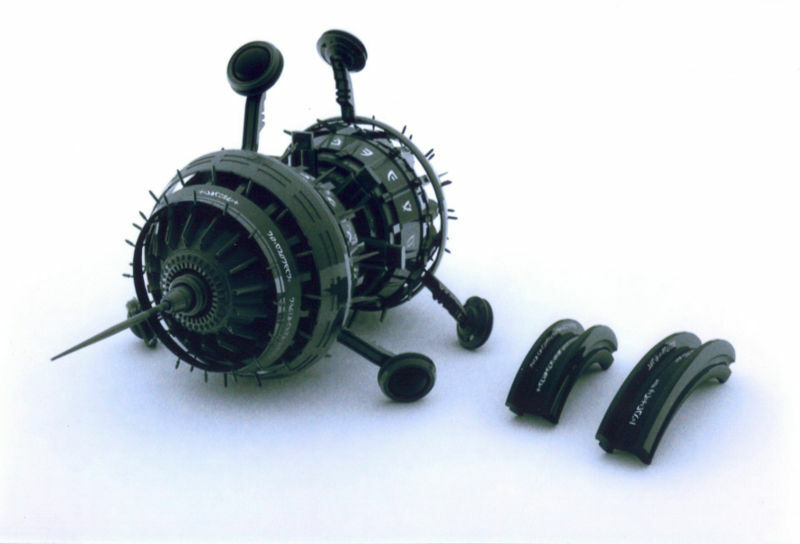 So the object will have all the shading in the right places” (extract from above top secret forum…unfortunately lost the link to the exact post). 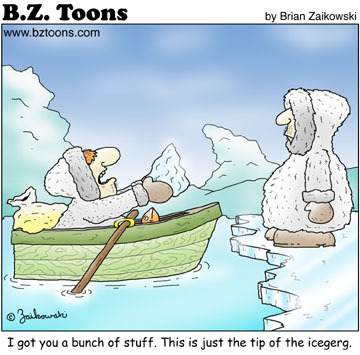 An interesting point…..
What is CGI : (Computer Generated Imagery)….as you can see from Reference.com it covers many areas (also here for basics)….. in the computer software department, for example there is lightwave 3D maya , maxwell render software. ….. there were some who believed that Kris Avery, a highly talented CG/3D expert, and who created the drone video, might have been involved in the photos…. but he heavily denies this. “In my exchange of emails with Kris, Kris believes that some (at least… if not all) of the drone photos are CGI and explained to me why he thinks so. If Kris is the creator of the drones (which he has already denied), I am not sure why he would fight so hard to say they are fake (which would expose himself)… if he was the one behind the hoax. Just my thoughts. There is no doubt that Kris is a very talented artist, and if anyone has the knowledge on how do this, he would be one of those people. Also, he is very aware of the limitations in the current CGI software. Exposing those limitations exposes photos that are CGI” (extract from post in forum). http://www.ufocasebook.com/unmannedprobeanalysis.html (done by james vinyard and Frank Valentyn). 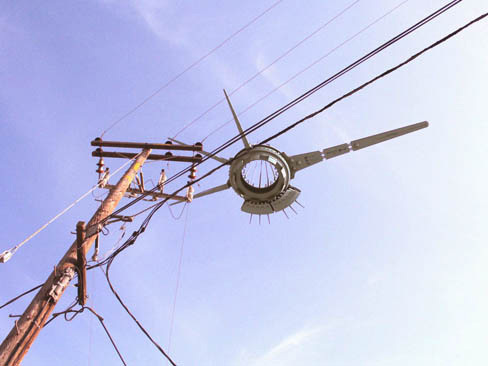 “We live in the post-Photoshop world, which has proven painful for the UFO field. Anyone can hoax a UFO photograph with knowledge of Photoshop, basic camera work and editing, or CGI movie making abilities. 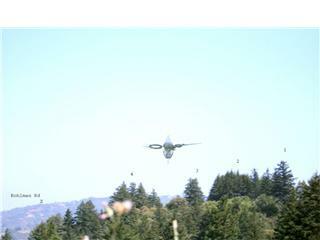 It is imperative in light of these techniques to keep an objective viewpoint when analyzing photographs and video footage of UFO’s. 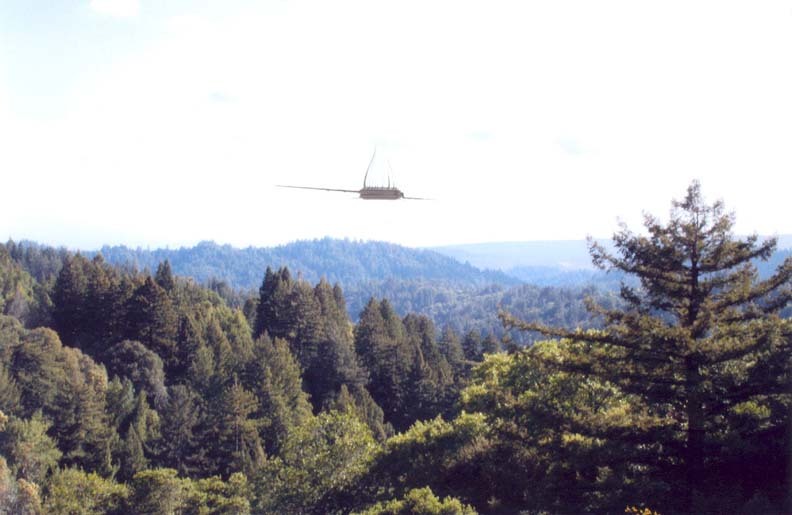 At the Paranormal report, we certainly believe that some UFO’s appear to represent a superior intelligence of unknown, perhaps extraterrestrial origin, but this does not seem to be the case with the drone UFO’s” (extract from article). It also question the pixel density of the UFO compared to the rest of the picture, among other things. At this point, i will add http://ovnis-usa.com/drone_investigation_FAQ.pdf It is basically saying ,there is no proper proof to say that it is a hoax….. it also has a go at Above top secret for those that say it is for ‘real’ (ie posters back stab,ect) .. However, it can also be said that the other end of the spectrum can be said for Open Minds forum, that seems to have a negative response from those who believe it to be a hoax (although both moderators attempt to keep everything fair, but this can be an almost impossible task). From the Open minds forum, there is a debate about where certain drone photos were taken from…. 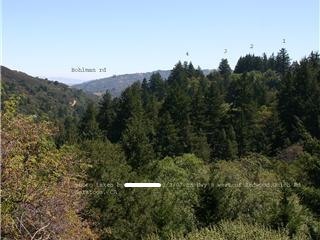 see stephen\’s location photographs for an indepth disscusion on this…..this is in reference to stephen’s photos taken on the 5th june 2007: it is stated as being from the Big Basin, but it is argued that it comes from Saratoga; there are alot of photos, maps and so on to support this theory. Point 4 … was it an ARG viral campaign? To start with ARG=Alternative Reality Game; see http://www.reference.com/browse/wiki/Alternate_reality_game for a definition of this. In fact, The Blair witch project (1999) was similar to ARG, but started out as almost an urban legend and ultimately a hoax, which became a movie (at the time no ARG existed of course); for viral marketing please also see http://www.reference.com/browse/wiki/Viral_marketing . I mention this because quite a few believed (including myself) that it was a viral campaign… it still could be, that ultimately went wrong, or not, as the case may be. I point you to 2 links these being http://www.perplexorum.com/showthread.php?t=1725 (read both pages) and http://www.bungie.net/Forums/posts.aspx?postID=11299627&postRepeater1-p=3 for a heated debate on this. 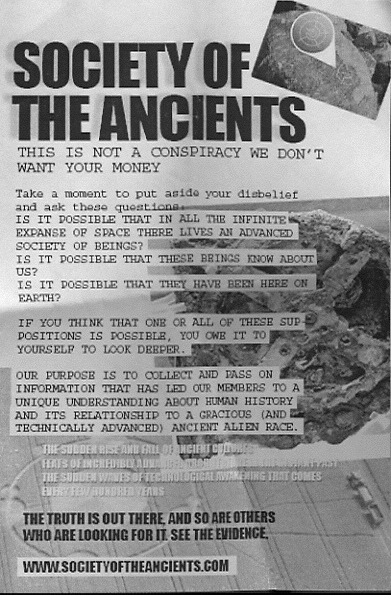 Also please see http://hushedcasket.com/node/2060 for why “society of the ancients” is possibly significant. Many thought it might be Klingon language, but no matches, some=font from the Matrix, but that seems not to work either. I have decided that as this has become a rather long post, i will do 2 more posts to help with the overall drone EFFECT (as it were). The next post will be solely links to relevant forum posts/articles/ and videos to the drones. The second post will be on the document itself……and an overall conclusion. I am not totally happy with this post, and might redo in more detail, certain parts of it….. unfortunately i am short on time and wish to get something out…. so hope this will be good enough for now. UK UFO sightings (april 2008)…. updated regularly! 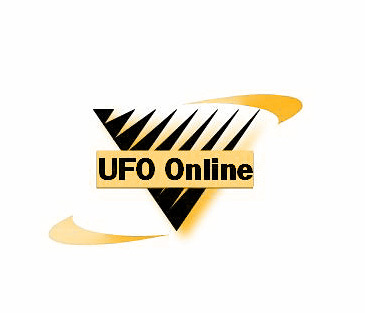 THis is a new feature for ufo online…. i will try and keep this up to date, with all information from the UK. The sun gets in early with “Did google fool you?” (original article i was unable to find)… of course an april fool joke… but to be honest its the same as all their articles; virtually no data, no facts, ect… so normal fair there then. Also “Were you an april fool” …..mmm. “Project SIGNAL FOUND is collaboration between Philip Mantle and the former Director of Investigations for the British UFO Research Association, and Nick Pope, the man who investigated UFOs for the British Ministry of Defence. This long-term study project looks entirely at UFO landing cases in the UK & Ireland. The idea behind it is simple. Most UFO researchers argue that the vast majority of UFO sightings can be explained in conventional terms. It is the contention of this project that UFO landings should be more difficult to misidentify than ‘ordinary’ UFO sightings” (extract from article). The sun “UFOs: Is the truth out there?”…. notice to the right of this short article, there are all the “real” UFO photos (from past sun articles)….not. The granthamjournal.co.uk has “UFO video: we made it up?” This was in relation, to the post they had on the 31st march called “Video exclusive: UFOs – the proof“. The grantham journal said it was an april fool’s joke…. nice try, but no cigar! although i thought it was on april 1st? “Andrew Warren and his son, Stephen Whitrod, spotted a series of lights in the sky over their March Road home at around 11pm as they were checking on their chickens. Mr Warren said he initially thought the lights were from the police helicopter, but then realised there was no noise ” (extract from article). “RISING eerily into the night sky, they’re unidentified, flying and orange” (extract from article); of interest is “”Mr Brennan said: “When we looked back over our shoulders we could see a succession of fiery orange lights moving across the sky. They appeared to be coming from the hills in groups of two or three, moving north very slowly and gradually burning out after about a minute“” (extract from article). Unfortunately, i feel that these sightings could have been chinese lanterns? The westonmercury has “Alien lands his UFO in weston?” It is a short article, and not of any help? with such terms as “The little yellow man was spotted…[. ]” and one look at the supposed photo, will wish you hadn’t clicked on this article in the first place. 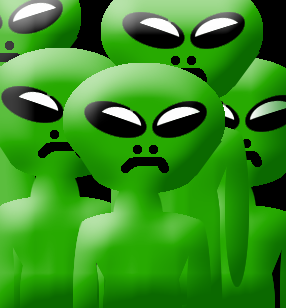 “The Islington Ufology and Supernatural Studies group has created the service to allow them to react quickly to sightings, such as the lights spotted over Archway last year. It claims that Islington is a “hotspot” for paranormal activity – and says seeing a UFO can be deeply troubling, requiring a couch and a sympathetic ear” (extract from article). It says at the end “To report a flying saucer or seek counselling following a “close encounter” call the hotline on 07500 346 688″ (extract from article). Scotsman.com.news has “Your views online“…. source: edinburgh evening news. “Scientists at the University of East Anglia have produced a mathematical model suggesting the odds of finding new life on other planets are less than 0.01pc over four billion years, which means mankind will have died out before ET ever comes calling. The findings are based on the time it has taken for humans to evolve compared with the remaining life span of Earth” (extract from article). mmm…. no comment. (i do actually believe that this is an old article, around 2 years old…. i just need to find it, to confirm). “AFTER a close encounter of the third kind, an Alvechurch resident has spent the last 10 years researching UFOs. John Hanson and his partner Dawn Holloway are working on a series of volumes dating from 1940 to 2008 which catalogue a day-by-day account of UFO activity in the UK. The series, called Haunted Skies, contains an in-depth examination of UFO events as well as illustrations and interviews” (extract from article). Blackpool gazette has “UFOs head for our bright lights” it says: “It’s the latest in a string of mysterious incidents which have seen Lancashire – and the Fylde in particular – earmarked as one of the UK’s UFO hot spots. Stephen Morris, 44, claims he spotted a UFO hovering silently in the sky on Monday evening at 10:45pm. Mr Morris spied the grey, triangular object heading towards the sea above houses in St.Alban’s Road, St.Annes” (extract from article). midweekherald.co.uk has “Aliens land UFO on roundball hill“… i have a feeling this is not all it seems (short article)…it says watch this space. 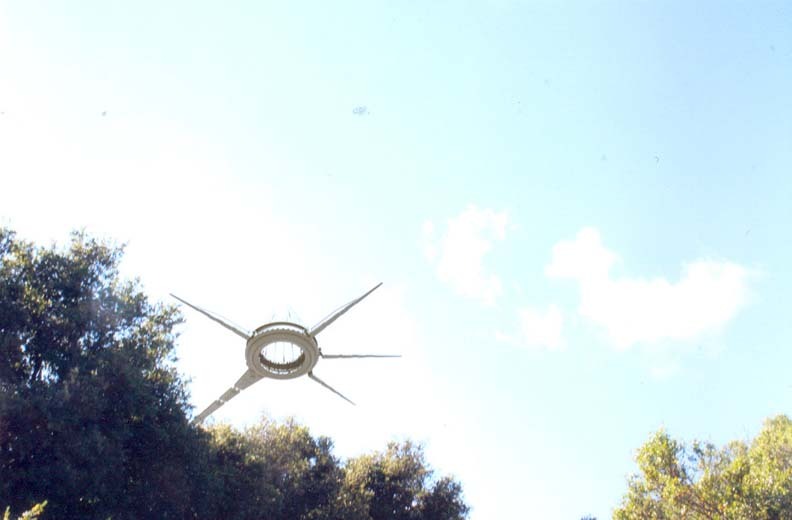 The update to the midweekherald “UPDATE: Aliens land UFO on roundball Hill” claims that “…[.] it has been confirmed that the aliens were children camping on the hill. Their tents were pitched on the brow of roundball, providing a surreal sight for hundreds of residents below ” (extract from article)…. now thats quality reporting….. don’t you think. A Journal reader spotted this mysterious light in the sky on Friday night.The light was the brightest thing in the sky and seemed to be hovering above Somerby Hill. ” (extract from short post, with photo). “A number of readers wrote in to say they had witnessed the strange lights and speculation was rife about whether they were UFOs. But Jamie and Caroline Turnbull have cleared up the mystery saying they held their wedding reception in the garden of their Chatteris home on April 5 and released 30 sky lanterns to celebrate” (extract from article). It also has photos of sky lanterns. “It has now emerged that the orange orbs, which were caught on film by walkers in the Braid Hills area, were Chinese sky lanterns let off during a teenager’s birthday party. Several people reported seeing the lights between 8.50pm and 9pm on Saturday, April 12” (extract from article). “The Braid Hills area of Edinburgh played host to some unusual visitors on Saturday night. A crowd of eyewitnesses, including several University of Edinburgh students, reported seeing strange lights hovering in the sky at around 9pm. Lyle Brennan, 19, said: “We were trying to find our way home when we saw a series of orange lights rising very slowly into the sky. They appeared to be coming from behind the hill, drifting to a high altitude and eventually extinguishing” (extract from article). “A WINSFORD man claims to have seen three unidentified flying objects in the town’s sky within a year. The objects were seen above homes in Chesterfield Close in the town” (extract from article). Also the same article in winsfordguardian . 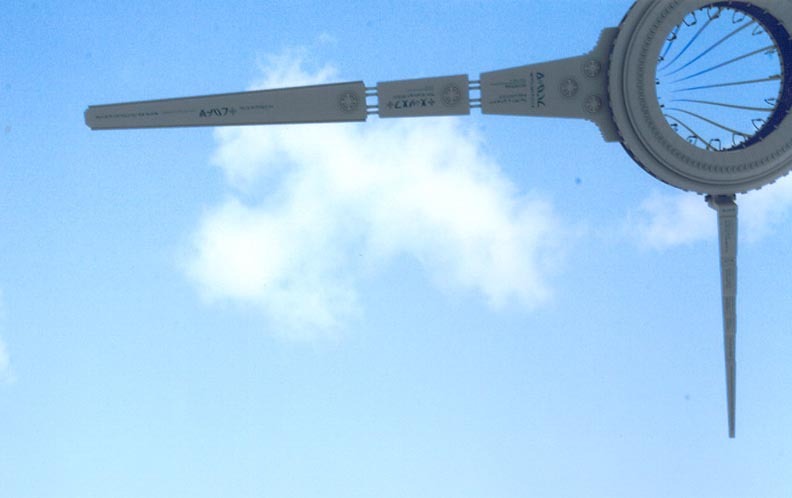 This month would not be complete without at least one Sun article (mmm…) In “Tourist snaps UFO in Croydon“. The photo is quite clearly a balloon, it’s sad, but then what do you expect. As one commenter of the post points out “what a load of cR*P”. Indeed. granthamjournal.com has “YOUR COMMENTS- VIDEO: glowing orange UFO caught on film” i’m afraid these look like chinese lanterns? this article has a video (although its not very impressive, i’m afraid and does not really help). what do you think? The conclusion (a rough summing up) to the UK sightings will be made here within the next week. http://www.lapisufo.com/ lapis conference on 14th june 2008…..
theblackvault.com has made it known (and i was not aware of this until now) that the MUFON UFO journals are available free on their site; see here about this information, and for the journals available see here. What does this mean; both MUFON and the black vault have joined forces. 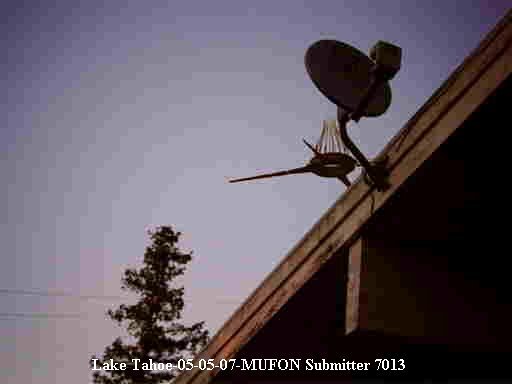 For instance, the december issue (2007) has an interesting article on “How MUFON handles photo and video analysis“…see page 4 onwards; and “orange balls of light” (page 5 onwards) in june’s issue (1990)… many more excellent articles/debate can be found here. “Ernest Buisse, 82, was on his parents’ farm near Redvers, Sask., in the summer of 1950 when he believes he witnessed an unidentified flying object” (extract from article). “Jeffrey Swetz of Cedar Creek says he saw it earlier this week, and picked up his camera and started rolling. He said it looked like a star but seemed much brighter ” (extract from article). “A handful of red lights appeared in Tinley Park skies in 2004 and 2005, capturing the attention of dozens of residents.Some people said the lights moved or changed formation, while others said they were still” (extract from article). “The Judicial Watch lawsuit how in front of a Federal Court involves 20,000 pages plus they have another lawsuit involving millions of pages. If JW wins their requests they will tie up the archivists at the Clinton Library for years. This will delay the UFO files from being released until after the Hillary files are processed” (extract from article). Also from ufodigest, is “Texas law officers release diagram, description of UFO” (25th march,2008). “An Erath County, Texas, law enforcement officer has released a detailed diagram of an unidentified object seen by several officers. The diagram and related information about the Stephenville region sighting were made available to the public today, March 25. The drawing includes specific colors and dimensions of the object as well as related information. 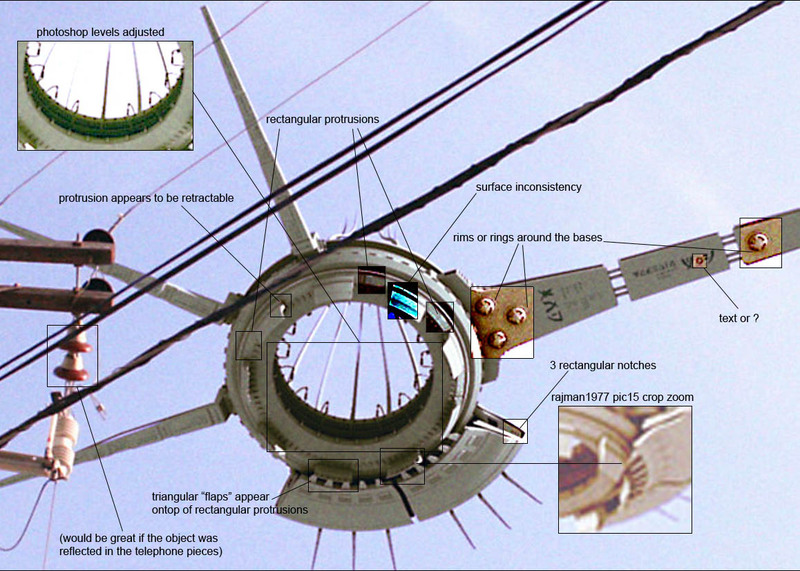 The diagram and descriptions have been posted on the Web site StephenvilleLights.com ” (extract from article). “Davenport says that of the vast majority of UFO sightings, up to 90% are explainable: weather balloons, military aircraft, satellites and the like. Many more prove to be hoaxes. But then there’s the tiny percentage, maybe only a handful each year, where something was definitely seen — often by multiple reliable sources — and that defy explanation. He believes that clues lie buried in these hill-sized mounds of paper that he has meticulously cataloged, if only the government or a university would do the research” (extract from article). In aliencasebook.blogspot.com there is an excellent post on “UFO – cold case private investigators locate chad drone photo location” (29th march, 2008). Below is a selection of UFO videos of possible interest….. Crop circles…… real or not? Although these videos can be seen at the present time, there is no guarantee that they will be there in the forseeable future… so if videos are unable to play, then i will endeavour/do my best to find new links to this, but may not be able too. Hope this opens your mind too all possibilities…obviously, yes videos are good to watch,but ideally, if you are really interested; then to get all the facts, try to seek out documentation and papers on the subjects involved….